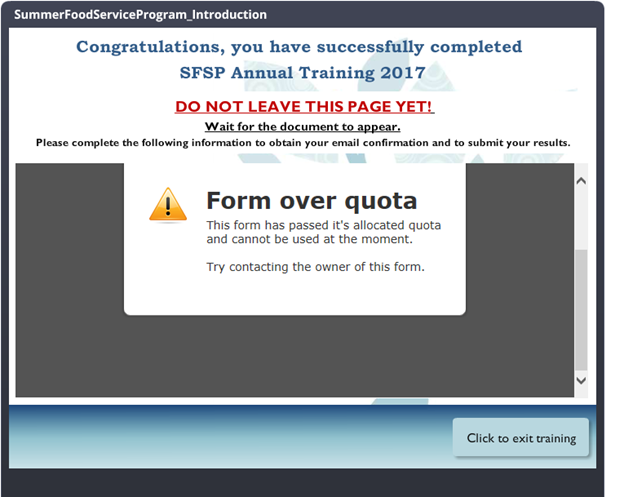 Why is one of our clients receiving a Form Over Quota Message? One of our clients received a noticed that a form was over quota. Do you know what might have caused this error? From what I understand you are having a reported issue from one of your form clients stating that your form is overquota and that they cannot submit on it. I have checked your form on my end to see what's going on and currently it is active so it appears to be okay as of now. Please try again or ask your client to try again and if there is still any issues just let us know.